In 2017, material design penetrated everything from websites to mobile apps to web-based apps and even social media. Online visitors and users are all habituated with minimalism and visual designers would focus on content rather than interface. Now they have got user buy-in to do that. Since the last few years, there are numerous e-commerce companies have implemented a brand new multi-platform experience which material design allows on a large scale to create engaging websites which don’t have clutter. Minimalism is the key approach towards winning as mobile exceeds desktop for main usage, particularly for shopping. Mobile-first design has been old now but if you’re a website owner who doesn’t still implement the mobile-first approach, you should immediately change your approach. With the increase in the amount of social media and content, businesses will want to break through the crowd with stronger tools and signals than their competitors so that they could stay afloat. One of the main emerging areas is the designing of better tools for the visitors of the website to post content for the view, to promote easy sharing, promotion of content in websites. Over the coming years, the in-house designers will require focusing on 4 main things. Here are some points to check out. #1: Designing of website isn’t still dead! There have been recent claims which say that web designing is dead but this is nothing but a fad. The world does not start and end with templates. It is true that solutions related to cookie-cutting, whether technology or design solutions are made up for the mass market. Designing is at the top of everything and when everyone has got similar tools, the human things become vital. Human emotions which are connected to the main service or product are the most noteworthy outcome. The design gets lost in the crowd when the experience is not solid. Too many websites migrated to card-based designs and modular layouts offering enhanced versatility to handle different types of content and ensuring that content is packed for easy sharing on the social media. Such layouts offer marketers enough freedom to change their pages and content as per the needs of the audience. Mobile and web apps are moving towards maximized information by offering portals to deeper information. With the increase in universal accessibility and corporate responsibility, the vitality of making sure that websites are always accessible to the users is also gaining importance. It will be very soon that Google will again wield its charm just as it did with mobile optimization, SEO and performance of websites. The foundation of site accessibility is user interface and having a logical design will help even the visually impaired people to navigate with ease. We can’t talk about trends forgeting about artificial intelligence. Since the last few years, AI or Artificial Intelligence has changed the way in which people use voice-recognition to visual object recognition, content search and content optimization. Artificial Intelligence is extremely specialized and hence expects the best solutions to be focused on industries. No matter what kind of interface a company has grown used to, it will definitely evolve at a rapid pace year after year. As the IoT gets more prolific and people get connected with the web through different devices, there is a lot of change in the way we interact with technology. 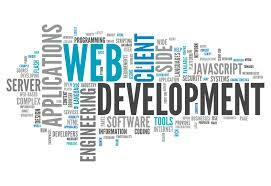 If you wish to remain agile and be ready for the next-gen tech to come, you have to transform web designing.